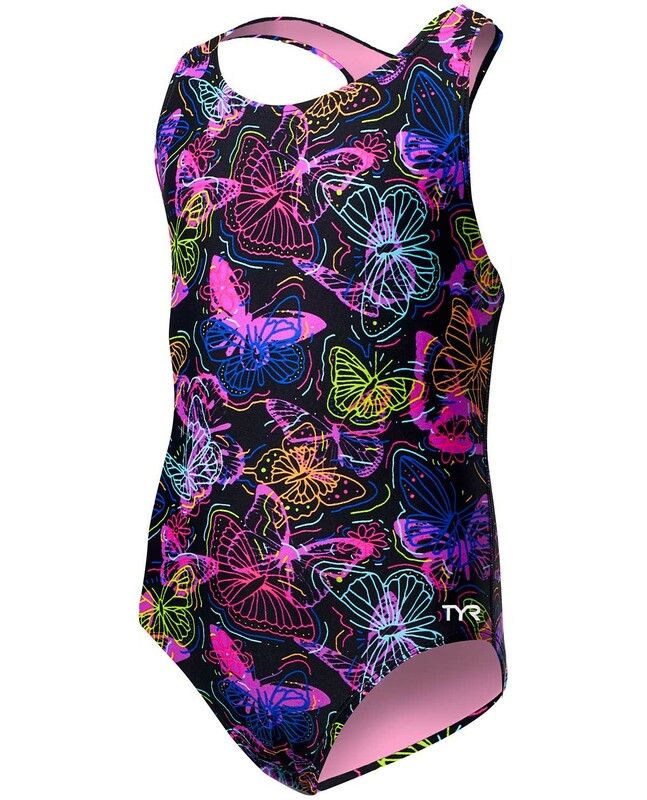 Get out there in the TYR Girls' Mariposa Ella Maxfit. Designed for young athletes, the fully lined MMAK7Y features an ideal blend of comfort and function. With thick/supportive straps and a keyhole back, the Ella Maxfit provides girls with a fun silhouette they're sure to love. 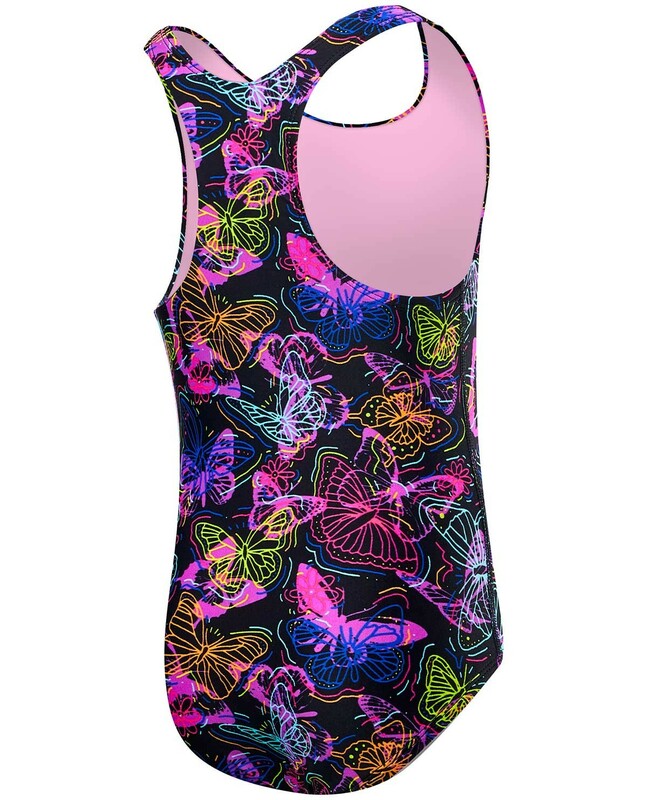 In addition to breathable Durafast Lite fabric, power mesh control and 360 degree range of motion, the Ella is created with UPF 50+ technology to ensure sun safety during every outdoor adventure. Bought this in size 6y for our girl who just turned four. It just fits her still well enough length wise that we could keep it. So for slim girls with long torso this is small in size and not an ideal fit. Legs seen from front are cut nice and conservative for this age. Fit from behind at bottom is a different story. The suit keeps sliding up my daughter’s buttocks a bit further than she likes, so she’s constantly pulling at it in that area. Looks to me like the cut could have been more moderate there.